“The more I think it over, the more I feel that there is nothing more truly artistic than to love people. People are often unable to do anything, imprisoned as they are in I don’t know what kind of terrible, terrible, oh such terrible cage. Do you know what makes the prison disappear? Every deep, genuine affection. Being friends, being brothers, loving, that is what opens the prison, with supreme power, by some magic force. Without these one stays dead. But whenever affection is revived, there life revives. What am I in the eyes of most people? A nonentity, an eccentric, or an unpleasant person — somebody who has no position in society and will never have; in short, the lowest of the low. All right, then — even if that were absolutely true, then I should one day like to show by my work what such an eccentric, such a nobody, has in his heart. That is my ambition, based less on resentment than on love in spite of everything, based more on a feeling of serenity than on passion. Though I am often in the depths of misery, there is still calmness, pure harmony and music inside me. I see paintings or drawings in the poorest cottages, in the dirtiest corners. And my mind is driven towards these things with an irresistible momentum… Poetry surrounds us everywhere, but putting it on paper is, alas, not so easy as looking at it. I dream my painting, and then I paint my dream. That God of the clergymen, He is for me as dead as a doornail. But am I an atheist for all that? The clergymen consider me as such — be it so; but I love, and how could I feel love if I did not live, and if others did not live, and then, if we live, there is something mysterious in that. Now call that God, or human nature or whatever you like, but there is something which I cannot define systematically, though it is very much alive and very real, and see, that is God, or as good as God. 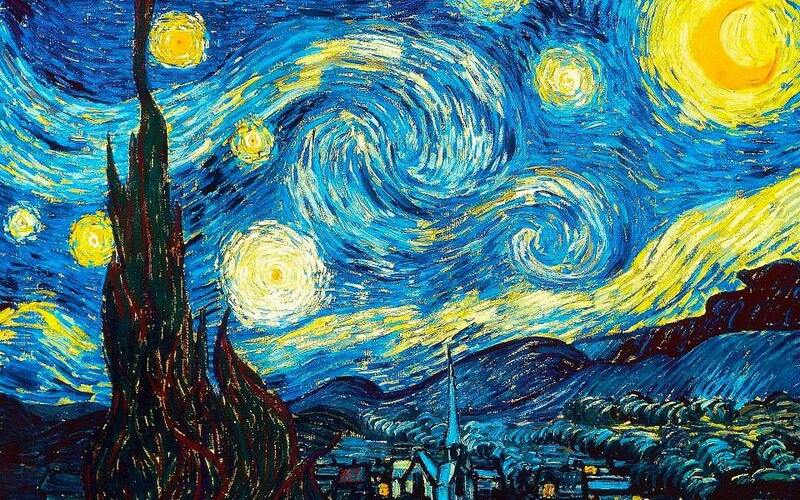 This entry was posted in Creative Systems Thinking and tagged creative by nature, creative universe, creativity, imagination, new paradigm, paradigm of love, spirituality, starry night, Vincent van Gogh. Bookmark the permalink. Reblogged this on Dream Poetry Visions Future Past Eternity Myth Sky Island Continent Magic Imagination. That is totally awesome..thank you dor sharing..! & I love Vincint Van Gogh..
Pingback: “Poetry Surrounds Us” – Vincent van Gogh | The Lotts Yoga. Reblogged this on The Lotts Yoga..